I’m using VAG PRO cable (VCP+K) for one year now. What I can tell about it? OCF is VERY useful, the DPF reg. always works, sometimes it lose connection or cannot finish procedure but you can always press cancel, clear DTC and reg. is done. All in all, most of OCF functions works, sometimes not but you will see on your own. 2. mk60ec1 recoding– used 3 times, always worked, worth to buy. 4. DTC and autoscan– VCDS is 10x better for that. 5. Cable is little bit stiff, be careful with it (I broke my cable once, but they repaired interface for free), also you must plug in special USB key so be careful with it too. 6. Updates– at least one in month, done by special program “Aktywator”, easy to use. Filemanagment- new feature also makes things simple with ZDC files. 7. ZDC files– files made by VCP staff, used for repairing for example MMI faults. Never used by me, but my friend enjoyed it. 8. If you are using VCDS you will notice that it looks familiar, but it’s very specific program which you will get used to it. 9. If you have antivirus program turn it off when using VCP, it may make some trouble. But don’t worry it’s safe. My opinion: good thing in good price. It can do some things that VCDS can’t, OCF will make your life much easier, it takes time to understand how this software works, it still need some fixes, it sometimes gives you headache but it’s definitely worth to buy as second software for VAG after VCDS. I have both, and can say with absolute certainty that VCP does NOT replace VCDS in any way. VAG Commander is a tool used to retrieve and modify information from the program area of the ECU. VCDS will give full access to all control modules in the car for diagnostic purposes. It will not allow you to modify the program memory of any ECU. Having said that, VCDS does allow you to “code” a module – selecting different factory installed options. All diagnostic procedures performed by the factory tool at the dealer can be performed using the VCDS tool. In fact, the tool design is made to conform with the same terminology used on the factory tool so that factory repair information can be used with the VCDS tool. s on your PC. VCDS only supports the functions built into the modules that were intended by the designers for diagnosing problems and effecting repair of those problems. How to get clone VAS 5054A ODIS of high quality? This is a reliable buying guide of clone high-quality (HQ) VAS 5054A scanners from China. 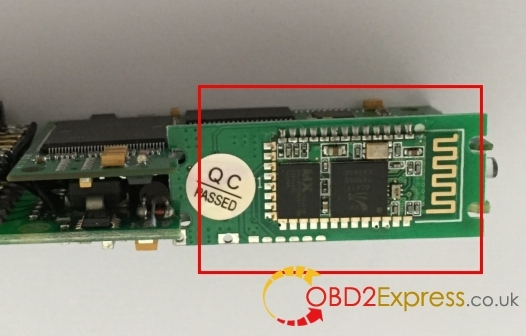 HQ 5054a could be identified from PCB design, including board colour, Bluetooth module and OKI chip. The green 5054A hardware stands out among the three ones, tested by thousands of users without any issue when diagnosing or modifying. * Reference: How to tell printed circuited board (PCB)? 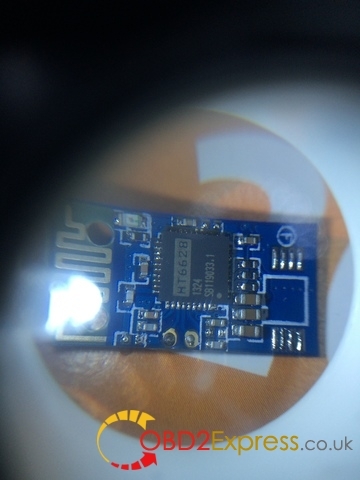 Note: not all 5054a scanners come with Bluetooth module; but you can add it yourself if equipped with knowledge and technique. OKI Chip is an important component that it can support USD protocol for old cars. The newly designed 5054a can support UDS and PWM protocols for new and old VW, AUDI, Skoda, Seat cars. So, combined with all good components, a high-quality VAS 5054A scanner should be designed with an AMB2300 Bluetooth module and OKI chip in a green board, verified to run well with ODIS 3.0.3 software. China VAS 5054A software ODIS service, new 3.0.3 version or old 2.2.3 version, usually runs well on most Windows XP or Win 7 system. And nowadays, users has verified that ODIS also can be installed on Windows 8 operation system. Have just installed Odis 2.0.2 onto win 8.1 X64 with no problems and connected to our 2002 Audi A4 avant with a clone 5054a diagnostic interface. Only thing i found is to use Windows 7 or Win xp sp3 compatibility mode on setup in OffboardDiagLauncher Properties, and to make a shortcut from the actual launcher in "C: Program Files (x86)" and place on desktop, run ODIS program as Administrator. After this, the program will run. It's tested with the vehicle, and it's working fine! Did not use the Bluetooth just the USB cable and all working.